Mustang Red Warning Track material is a crushed red granite rock, similar to limestone screening used for your warning track area. 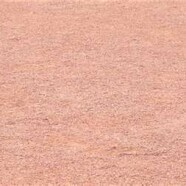 Mustang Red infield mix has a similar composition to red sand and is beneficial for all your infield needs. *All prices are for direct, full loads delivered straight from the mine to your Chicagoland location. There will be upcharges for less than semi deliveries, when the materials are available. For more information regarding this product please contact Jim Walsh at jim@sportsfieldsinc.com or call (708) 371-0917.